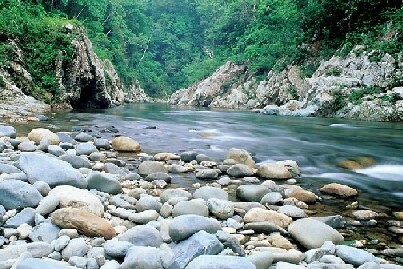 The Chagres River is one of the most prominent rivers in Panama. Located in the central section of the country, the river ends its illustrious journey by emptying into the Caribbean Sea. Surrounded by pristine jungles, the waterway stands to be a popular rafting destination among rafting aficionados across the world. While you move out on a rafting expedition on the river, you can witness the magnificence of the Chagres National Park too! Boasting of rapids of Class II and III, the Chagres River offers wild torrents in several portions of the water body. The beautiful curling waves will make you sway through the riverbed, but you are bound to enjoy your battle with their incredible speed! Again, the Chagres River passes through dense tropical forests and lush vegetation. Once on the trip, a rafter can witness the rich wildlife habitat on the river, which includes monkeys, spiders, sloths, howlers, river otters, whiteface capuchins, toucans, iguanas, and plethora of fishes. On the other hand, the tropical rainforest adjoining the river also happens to be the home to several huge mammals such as jaguar and tapir. Thus, a rafting trip on the Chagres River is sure to provide you a lot of startling sights. Moreover, you get to know several unknown things about this mystifying region of Central America Rafting. In case you are not much keen to venture out on a exhilarating rafting trip, you can plan for a pleasant camping expedition as well. Even though the water body comprises of enough water all through the year, however, the river reaches its peak rafting condition during the months of June to November. At this part of the year, the Chagres River surfaces as a waterway of unbelievable volume! So, get prepared and grab all the fun and excitement on the arresting Chagres River!